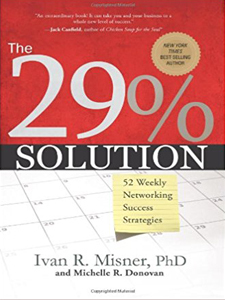 The book, The 29% Solution: 52 Weekly Networking Success Strategies, is ten years old. This year, The 29% Solution is celebrating its 10 year anniversary. Looking back when Michelle and I shook hands in Long Beach, we began a memorable journey together as co-authors. Therefore, our journey included many, many hours of blending our writing styles, phone calls, and collaboration. Additionally, it included multiple versions of a title and cover design. Furthermore, our journey included changing the publisher mid-stream. Finally, it involved loads of radio interviews, speaking opportunities, and book signings. Most notably, our journey ended with a lasting friendship. 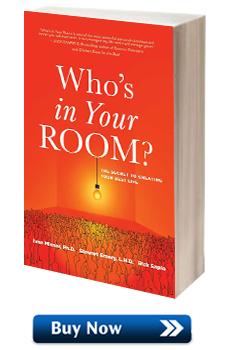 Today’s blog is from my co-author, Michelle Donovan. Happy Anniversary Michelle and a toast to “The 29% Solution”…CHEERS! Growing up in a small town outside of Pittsburgh, Pennsylvania, I never gave much thought to becoming a Wall Street Journal bestselling author. That is until I met Ivan Misner! In 2006 I was performing the role of Education Coordinator for my BNI chapter, the Circle of Excellence, in BNI Western Pennsylvania. One week, while preparing for my spotlight, I came up with what I thought was a great idea for a book. 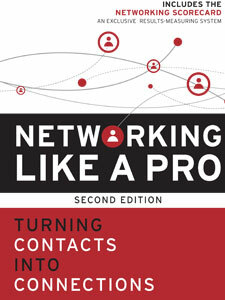 I wanted to create a book for business owners that had one networking focal point each week for 52 weeks. I formulated an outline for the book and began to write a few chapters. As a BNI Director, I was scheduled to attend the next BNI Conference in Long Beach, CA with Deanna and some other colleagues. The plan was that Deanna would arrange a one-to-one with Ivan while at the conference to show him the concept. We had hoped that he would give us his blessing and maybe a few tips for a new author. We met with Ivan around 9:30 pm in his suite. I remember it well because I was quite nervous. I didn’t know what to expect but I knew I would follow Deanna’s lead. Ivan, the icon of BNI, comes around the corner in a t-shirt and sweatpants. Instantly, I felt myself relax. The three of us discussed the concept while Ivan reviewed the outline and first few chapters. He passed it over to his wife, Beth. She gave her nod of approval. Ivan liked it! What happened next changed my life. Ivan offered me two options 1) He could give me some tips and offer any help with some connections or 2) We could co-author the book and he would make me a bestselling author. Hmmmmm? Which would you choose? You guessed it. We shook hands on a co-authored book deal that would eventually make me and Ivan the Wall Street Journal bestselling authors of The 29% Solution. Today, The 29% Solution is currently published in seven languages. When I see this book on my shelf in multiple languages, it warms my heart. 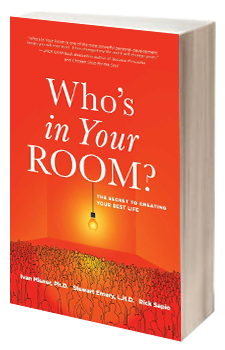 I am reminded of how much I love to write, the generosity of my friend Ivan Misner and the true power of networking to make even my unimaginable dreams come true. I am grateful to Deanna for bringing Ivan and me together for a book that keeps on giving to its readers. Happy Anniversary Ivan and a toast to The 29% Solution…CHEERS! Are We Now Connected to 5.6 Billion People Worldwide? Share ideas, contacts and, most important, business referrals with the world’s largest business networking organization.